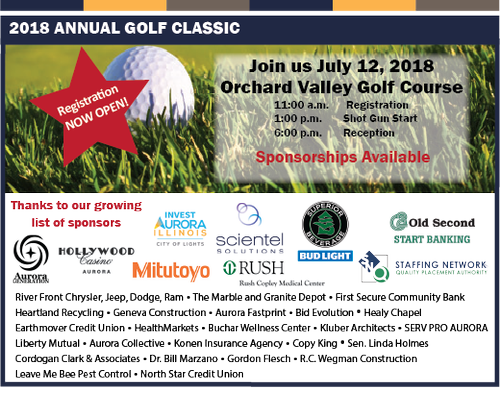 will be held on Thursday, July 12, at Orchard Valley Golf Course. One of Chicagoland's top five courses, Orchard Valley is an 18-hole, 6,800-yard, par-72 championship layout open to the public. This beautiful course offers the appropriate challenge to all skill levels. Orchard Valley has been distinguished by Golf Digest Magazine as a 4½ star facility. Business After Hours Cocktail Reception $25 cash bar.